Emily Ann Roberts fro Team Blake sings ‘9 to 5’ on The Voice Season 9 Top 9 Live Shows, Monday, December 7, 2015. “That vocal was crazy. I don’t understand how can you sing that perfect,” said Gwen Stefani. “If’ I was like somebody who owned a record company, I would be right now calling around because you are gonna make somebody so much money,” said Blake Shelton. 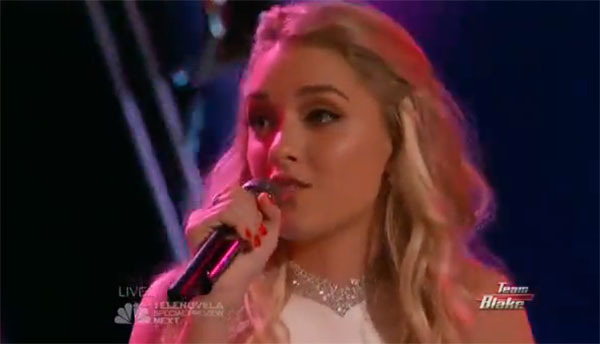 Did you like Emily Ann Roberts’ performance tonight? Share your thoughts and views on the comment section below.